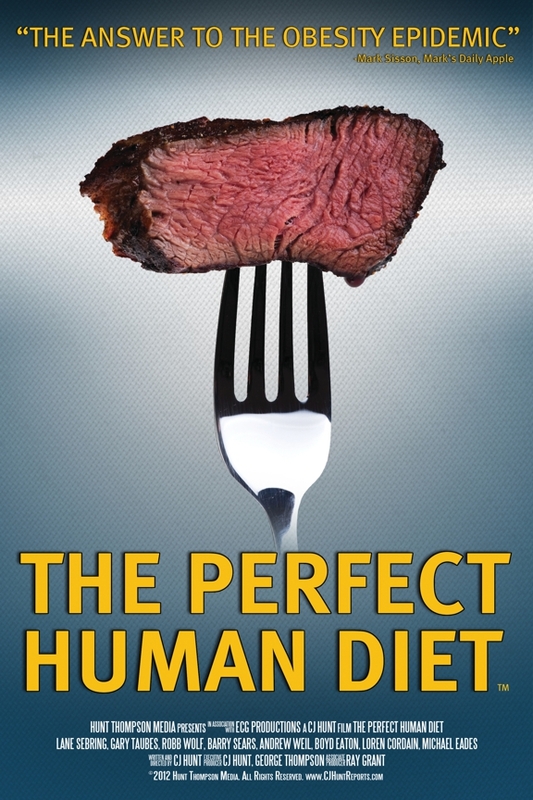 iTunes is offering a 99 cent special on watching The Perfect Human Diet, through Jan. 22nd. Journalist C.J. Hunt searches for a solution to the modern obesity epidemic and other diet related health issues. This is a must see presentation that’s also available on HULU and Amazon Prime for subscribers. CJ Hunt, filmmaker and broadcast journalist, is the writer, co-executive producer and on-camera host of “The Perfect Human Diet “ January 2013’s #1 Top-Selling Documentary and #1 Top-Selling Independent Film on iTunes, in both the USA and Canada. The film evolved from his true-life story, beginning in 1978 when paramedics brought Mr. Hunt back to life at the age of 24 after suffering a full cardiac arrest while jogging. That incident evoked an intense passion to find out how we can all achieve longer, healthier and happier lives and then share that information with others. With over twenty years in broadcasting, voiceovers, television and live events, Mr. Hunt currently lives in Connecticut, and is the author of two previous books on diet and health. “The Perfect Human Diet” is an unprecedented global exploration to find a solution to our epidemic of overweight obesity and diet-related disease – the #1 killer in America. The film bypasses current dietary group-think by exploring modern dietary science, previous historical findings, ancestral native diets and the emerging field of human dietary evolution; revealing for the first time, the authentic human diet. Film audiences finally have the opportunity to see what our species really needs for optimal health and are introduced to a practical template based on these breakthrough scientific facts. Travel through time and around the world with CJ Hunt as he embarks on an unprecedented global exploration to find a solution to the exploding epidemic of overweight, obesity and diet-related disease. From excavations containing the remains of Neanderthals and early modern humans in Jonzac, France, to the bio-molecular anthropology analysis labs at the Max Planck Institute for Evolutionary Anthropology in Leipzig, Germany, we discover breakthrough scientific facts that could change the way we all think about food. Featuring rare interviews with some of the foremost authorities on evolutionary anthropology and human evolutionary nutrition, the film offers a new opportunity to see what our species needs for optimal health. The Perfect Human Diet introduces a practical, sustainable method of eating based on these breakthrough scientific facts. The Perfect Human Diet, companion book to the number one film which defined the real paleo diet, is a game changer in the world of health and nutrition. The result of broadcast journalist C.J. Hunt’s unprecedented global exploration for a solution to our exploding epidemic of obesity and diet-related disease– the #1 killer in America. It’s a fascinating treasure hunt – the unexpected discovery of the authentic human paleo diet – and The Perfect Human Diet’s doctor proven solution for achieving optimal human health and longevity.